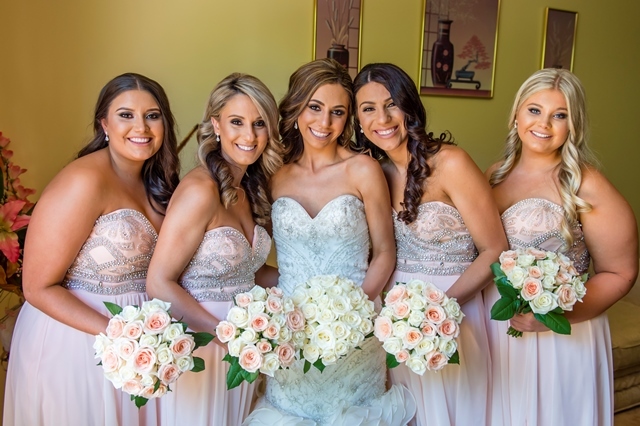 A stroll along the beach to celebrate their three-year anniversary was made all the more memorable when Tyson Marsden asked Erin Ramadan to be his wife. The couple then had a glamorous garden wedding in the summer sun, with their children Narhla and Nyjah as their witnesses. Erin had almost given up hope of finding her dream bridal dress when she walked into one last shop. As soon as she stepped out in the exquisite mermaid-gown with ruffles and elegant jewel-detailing, Erin knew she had found ‘the one’. “I always thought I would go a big Cinderella dress, but I went totally different,” she said. 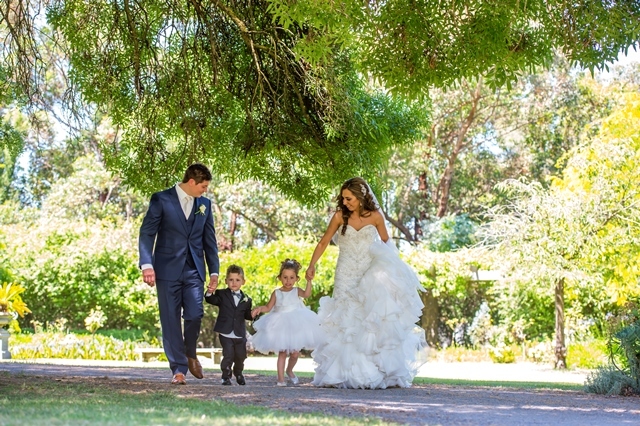 For Erin and Tyson it was important to involve their young children Narhla and Nyjah in their celebration of love. Narhla wore an adorable tulle dress and Nyjah looked dapper in a suit for their roles as flower girl and page boy; walking the mother-of-the-bride and mother-of-the-groom down the aisle. 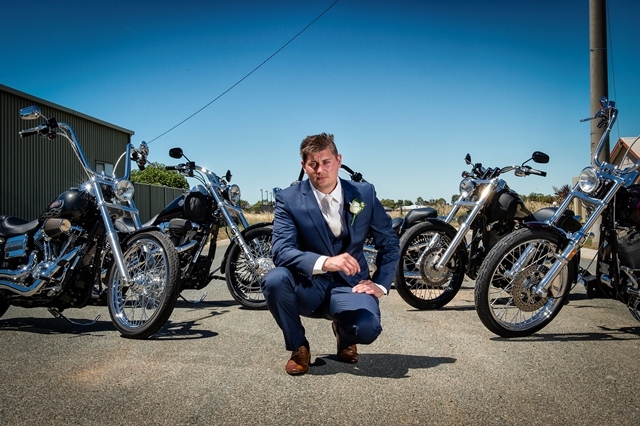 Just as his father before him, Tyson and his groomsmen arrived at the ceremony on Harley Davidson motorbikes. 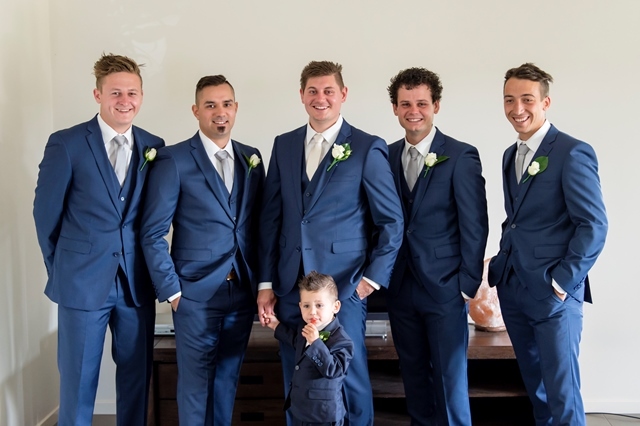 “The motorbikes were important to Tys because his father had them for his wedding day and he had always wanted to do the same and has loved motorbikes his whole life,” Erin said. 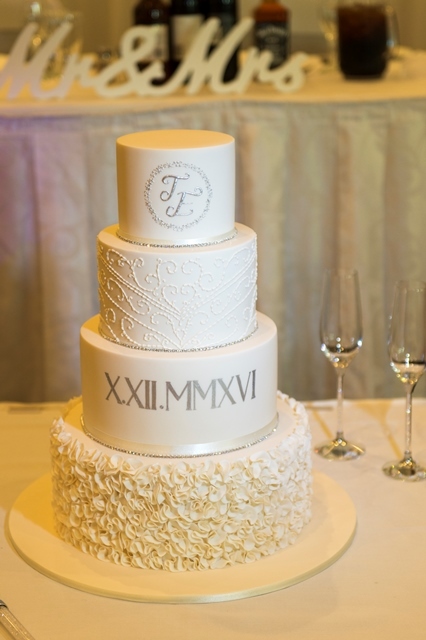 Erin fell in love with a cake she found on Pinterest, with a ruffle tier that mirrored her dress. 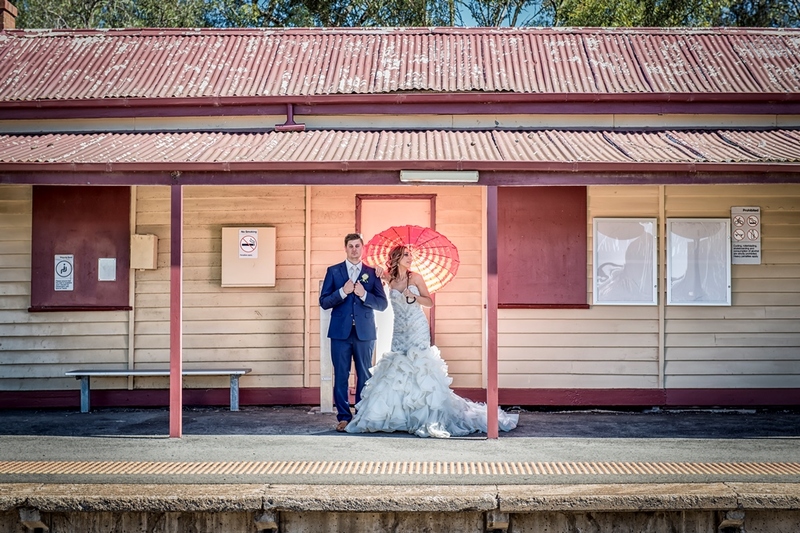 She took this photo as inspiration and added her own personalised style by incorporating the couple’s initials, wedding date in Roman numerals, the pattern on Erin’s dress and sparkles around each tier. See more photos from Erin and Tyson's wedding day over on our Instagram.